Photographer Joseph Szabo documents Jones Beach in New York from 1990 to 2015 - capturing a transient community with the lifeguards as the only permanent fixture. 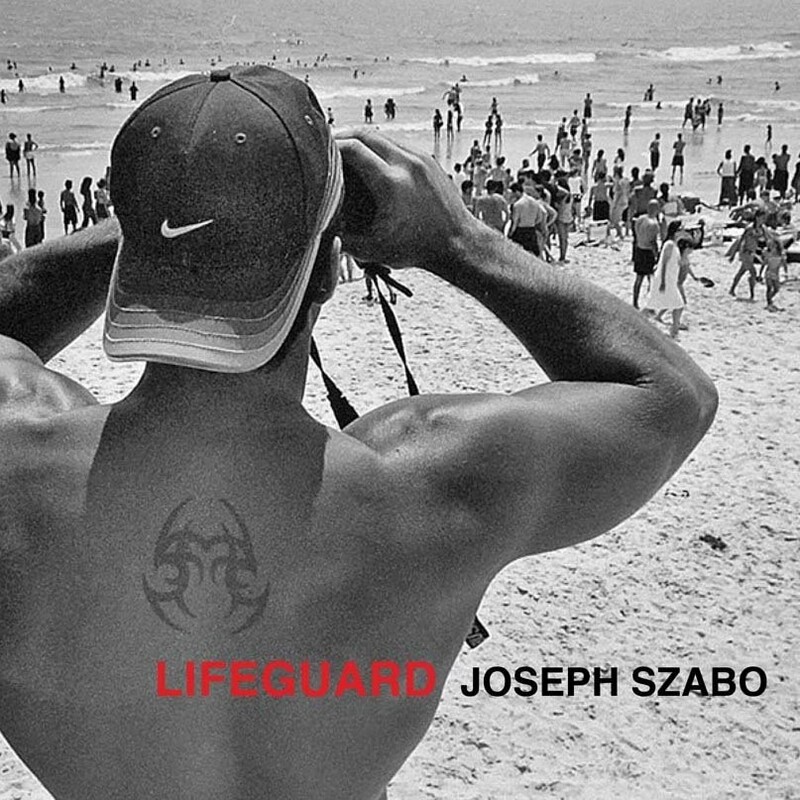 Lifeguard, which will be released in Spring 2018, is one of Joseph Szabo's bodies of work that examines the social atmosphere of public spaces and crowds. In the late 1960s, photographer and photography teacher Szabo first discovered Jones Beach state park in Nassau County, New York. Joseph Szabo: Lifeguard documents the photographer's encounters and friendships with the Jones Beach lifeguards in photographs taken between 1990 and 2015. Portraits in the most expansive sense of the word, the images in this volume illustrate the day-to-day preparation, teamwork, relaxation, camaraderie, duty and responsibility in the lives of these figures that Szabo has come to know and respect. He is best known for his photographs of adolescents taken in and around the halls of Malverne High School in Long Island, where he taught photography from 1972 to 1999, which were published in the photobook classic Teenage (Greybull, 2003). Turning his camera on his students to get their attention, Szabo captured the anxiety and bravado of the American teenager in classic documentary style black-and-white photographs that quickly attained cult status in the fashion world. The images were published by Damiani and the book can be purchased here.